Twin drum casting of steel is a method of casting employed to turn molten metal into a continuous moving ingot shape with a rectangular or round cross section, therefore skipping the cooling phase. The drums themselves must meet strict requirements including resistance to deformation when in contact with molten steel, no fatigue failure through repeated heating and cooling and stable thermal conditions as the formed, molten steel cools. Continuous casting is a faster and more efficient method of producing ingots and related products. 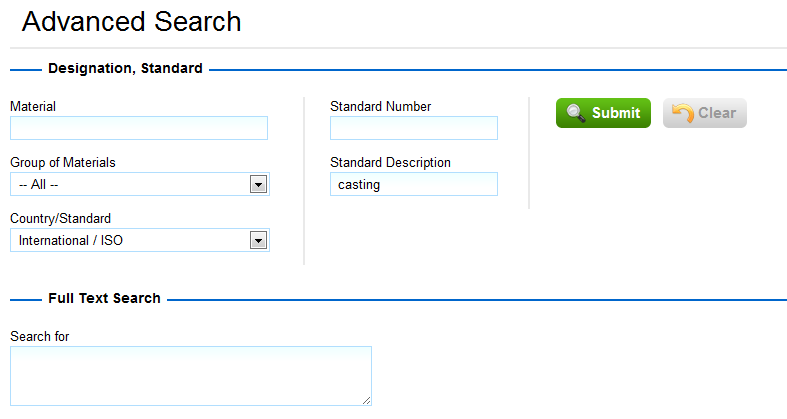 It is not employed for producing “castings”. In the traditional ingot production method, molten metal is poured into stationary molds. The cast ingots are then allowed to cool, are removed from the molds and then machined to remove surface imperfections, which all in all is a time consuming and wasteful process. Continuous casting, converts molten metal into a continuous moving ingot shape with a rectangular or round cross section. Time, energy, and labor are saved. Generally, a water-cooled mold is employed, receiving molten metal in one end and delivering a continuous solidified product out the other end. The molds can be vibrating or moving, slow or fast. 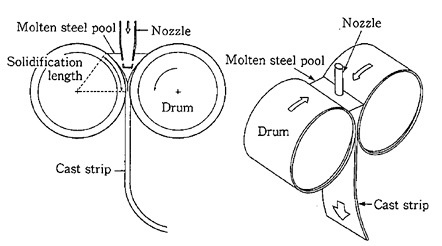 The casting machine is schematically illustrated in Figure 1. The machine consists of a pair of drums, two side drums, and a coiler. Molten steel is poured into the pool enclosed by the drums and side dams and is solidified into shells through contact with the drums. The two solidifying shells joined into a single strip at the kiss point of the drums. The drum width is 800 or 1,330 mm, the drum diameter is 1,200 mm. The cooling rate for the strip casting process is 100 K/s or 1,000 times higher than for the conventional slab casting process. The thickness of the cast strip is one – hundredth of that of the cast slab. The 10-ton scale prototype strip caster was installed in Nippon Steel Corp. Hikari Works where the casting tests were carried out. 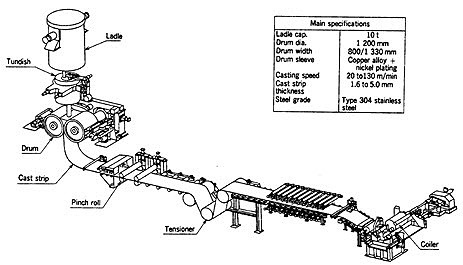 Figure 2 shows a schematic view of the 10-ton scale strip caster. It is comprised of a ladle, a tundish, drums, side dams, pinch rolls, a tensioner and a coiler. The drums, the core elements of the strip caster, need to meet the following requirements; little thermal deformation under heat of molten steel, no fatigue failure by repeated heating and cooling, and a stable thermal condition to solidify the molten steel. To satisfy these requirements, the drums have a three layer structure consisting of stainless steel base, copper alloy sleeve, and nickel plating and inside water cooling channels are also equipped. Molten steel leakage during casting is a serious problem of side dams. 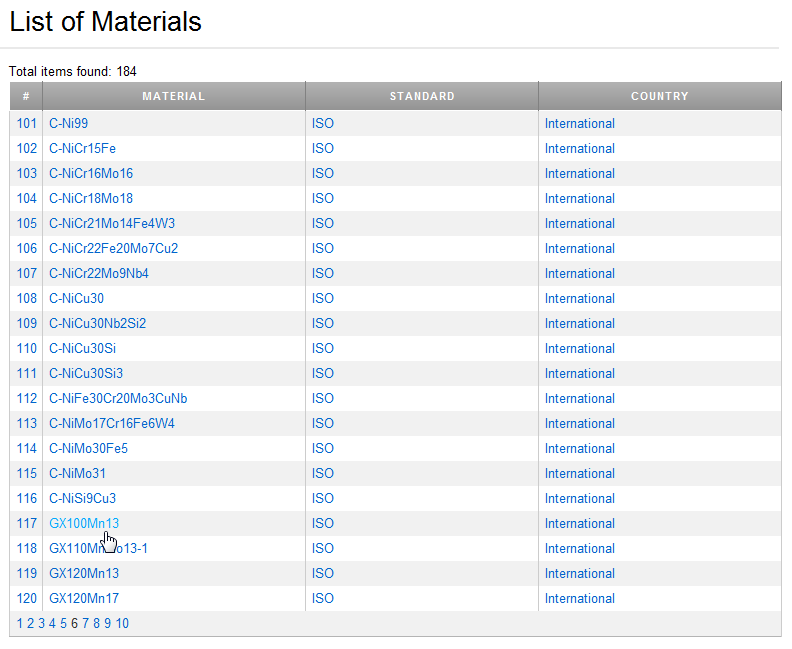 To prevent this problem, the dermal deformation was analyzed and the pressing method was improved. 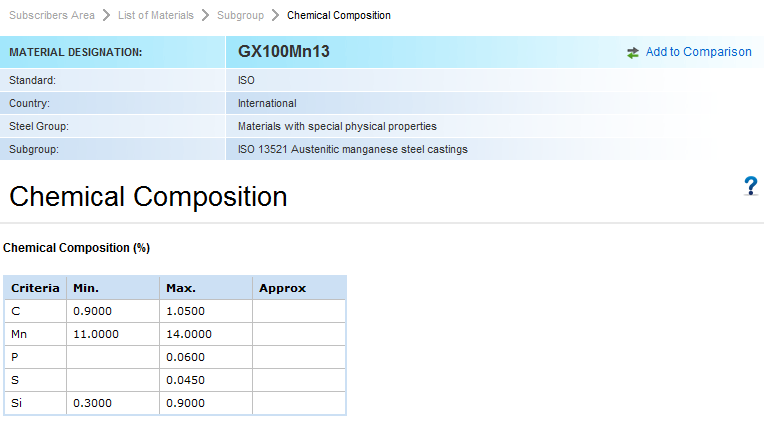 The casting speed range was 20 to 130 m/min, and the corresponding range of cast strip thickness was 5.0 to 1.6 mm. Type 304 stainless steel was cast.